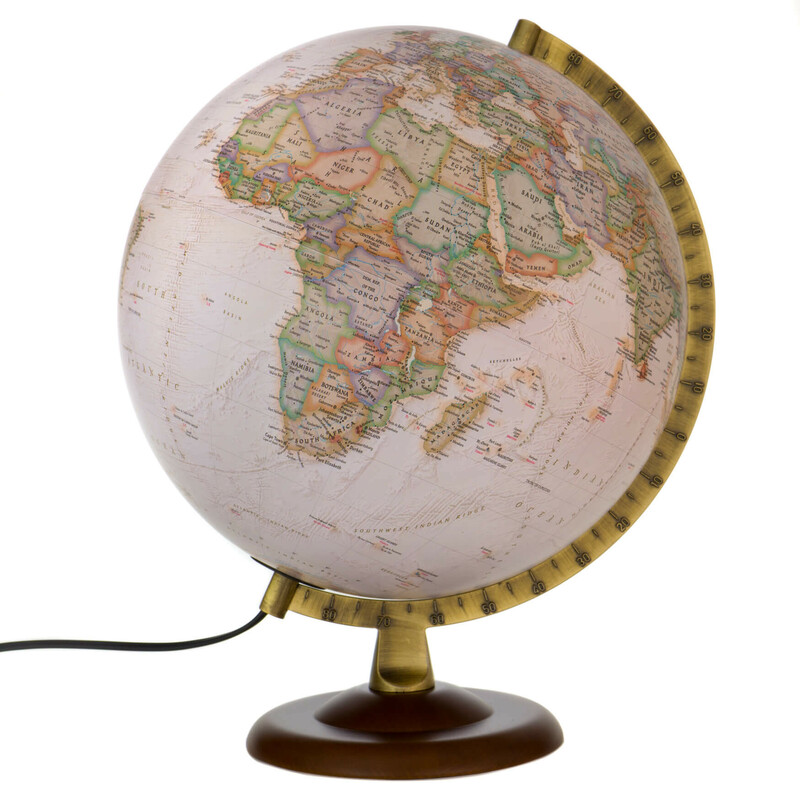 The Gold Executive globe is one of the latest series of globes to feature National Geographic cartography. Over 2,000 place names are included. The text is clear and each country is given a different colour with a darker tone around the borders to accentuate the political mapping. In the oceans, undersea trenches and basins are named with arrows indicating major ocean currents. 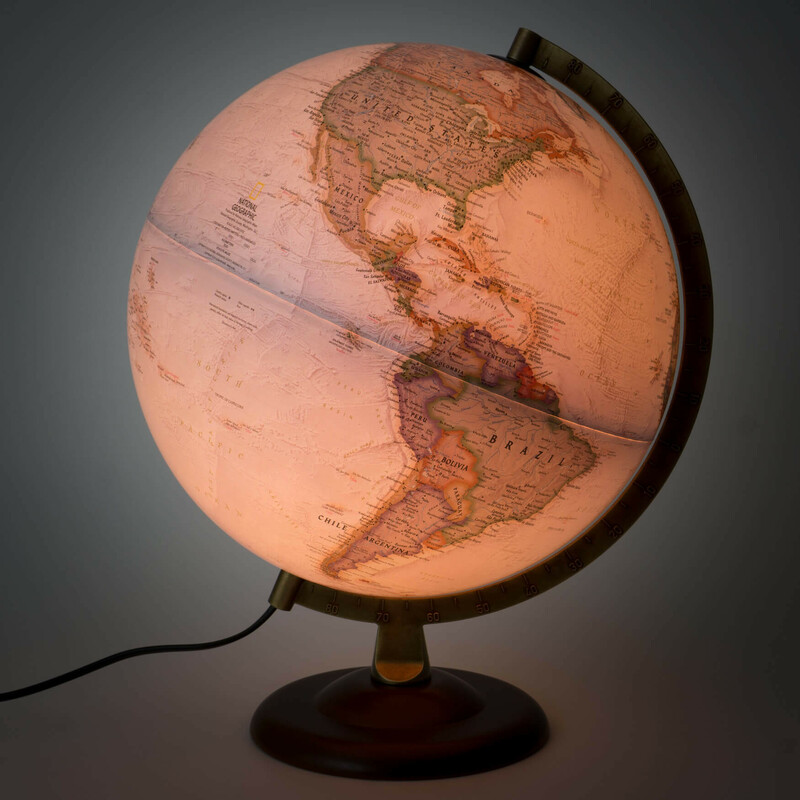 Shading is used to represent ocean depths giving a stunning effect when the globe is illuminated.. 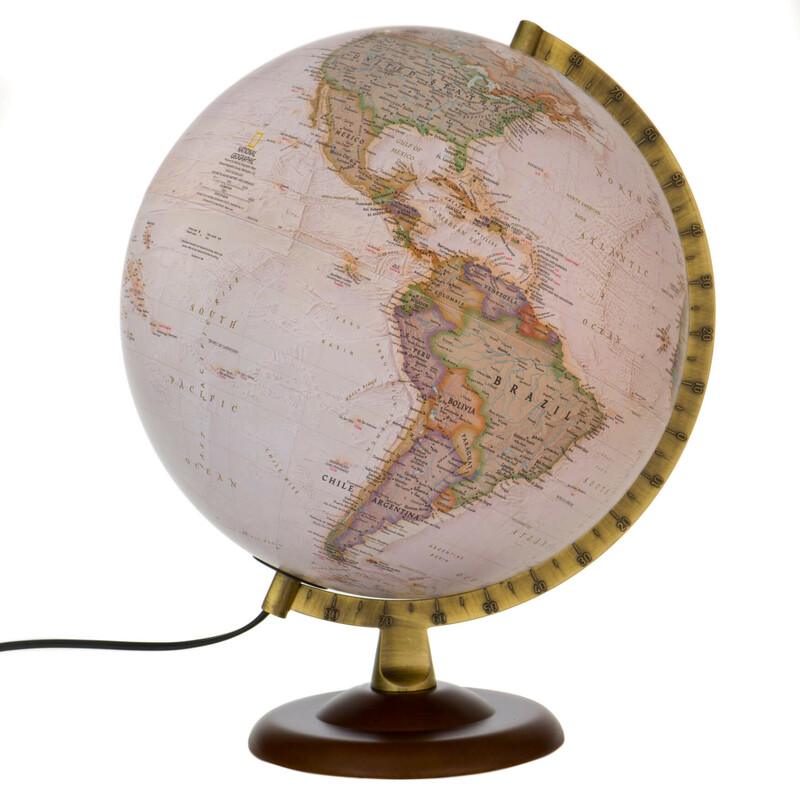 The Gold Executive globe has a gun-metal style, die-cast metal meridian and a turned solid walnut base, ensuring that this traditional globe will enhance any room or office setting. Available in illuminated or non-illuminated versions. Mains operated. Highly detailed map with over 2000 place names and pieces of information. 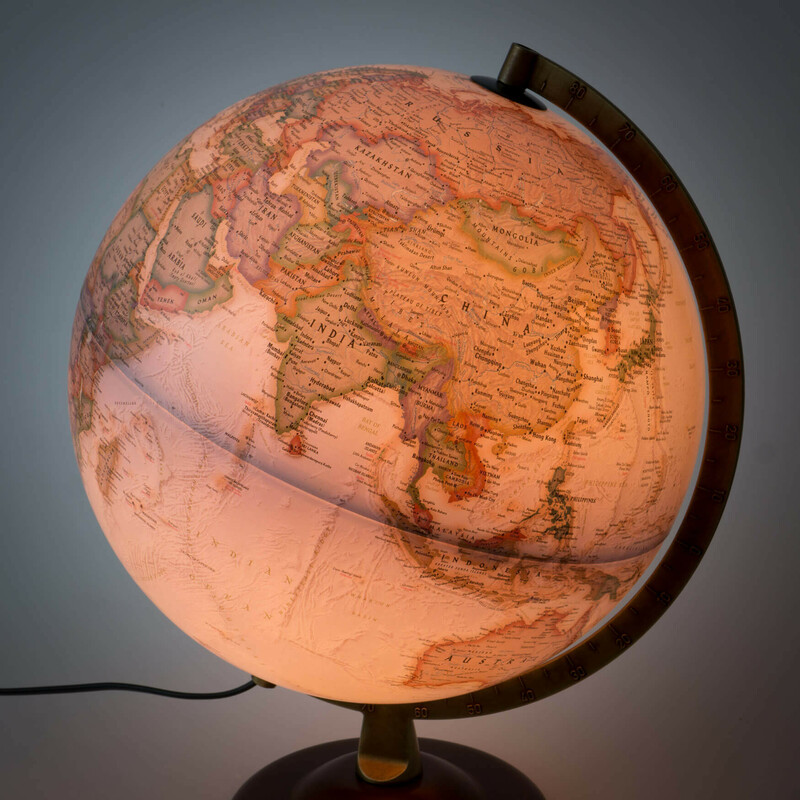 Antique style globe. Also available in Blue Ocean. Politically mapped with clear country borders. Antique style metal meridian with diecast numbers. The National Geographic Society has been inspiring people to care about the planet since 1888. It is one of the largest non-profit scientific and educational institutions in the world. Its interests include geography, archaeology and natural science, the promotion of environmental and historical conservation. The National Geographic Society has made a major contribution to our knowledge of the world and has opened a new window for us to learn about our planet. National Geographic supports long term exploration projects of many scientists and many of the great ground-breaking discoveries of the last century have been founded and sponsored by National Geographic. This was bought for my husband for his 70th birthday. He absolutely loved it, and showed it to everyone who visited us. An ideal present for any man, and highly recommended. 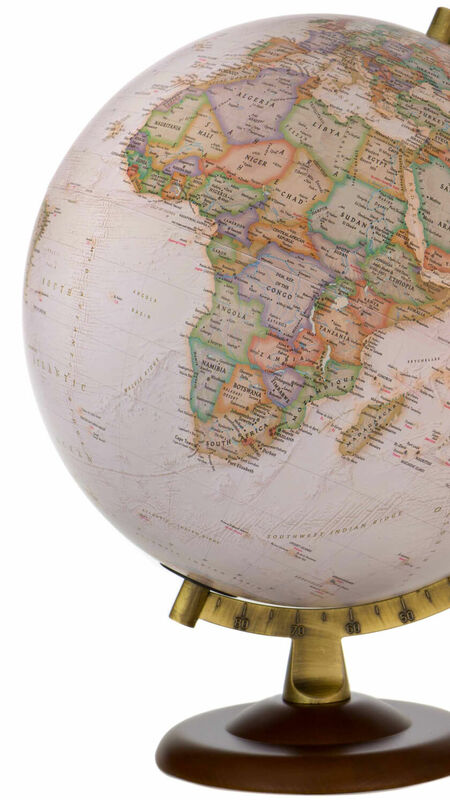 Classic globe, really good quality.